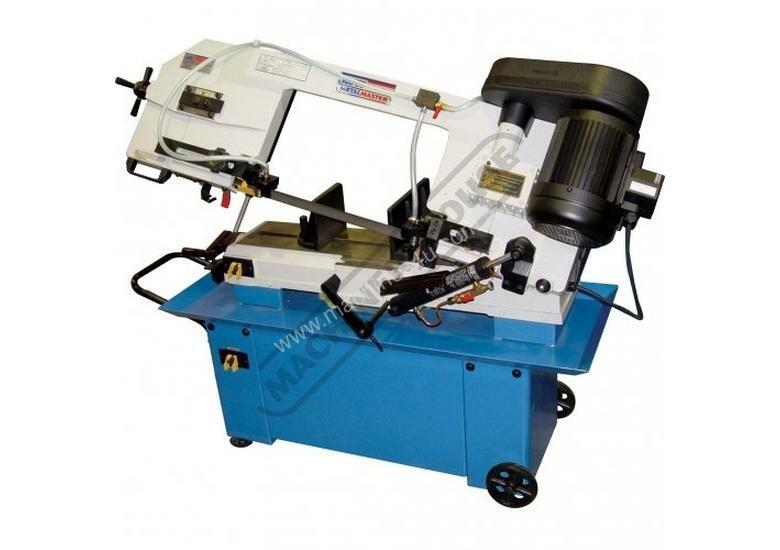 The BS-912 is a larger 240 volt band saw suitable for the medium fabrication and general engineering workshops. 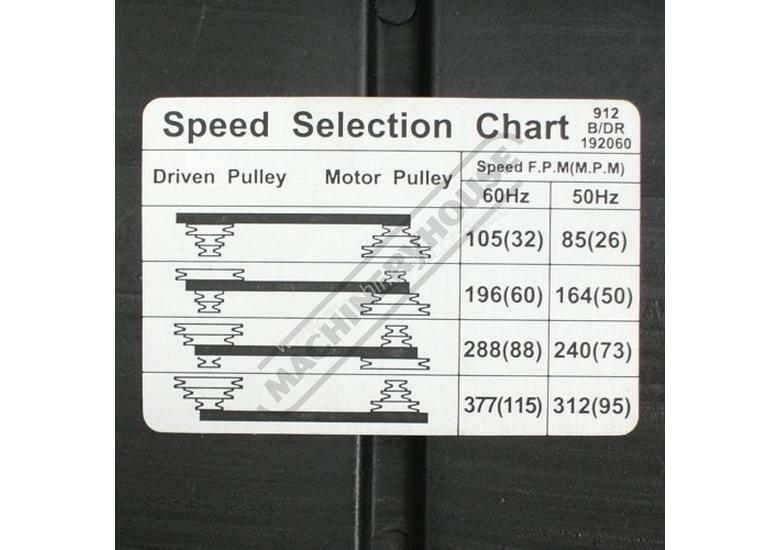 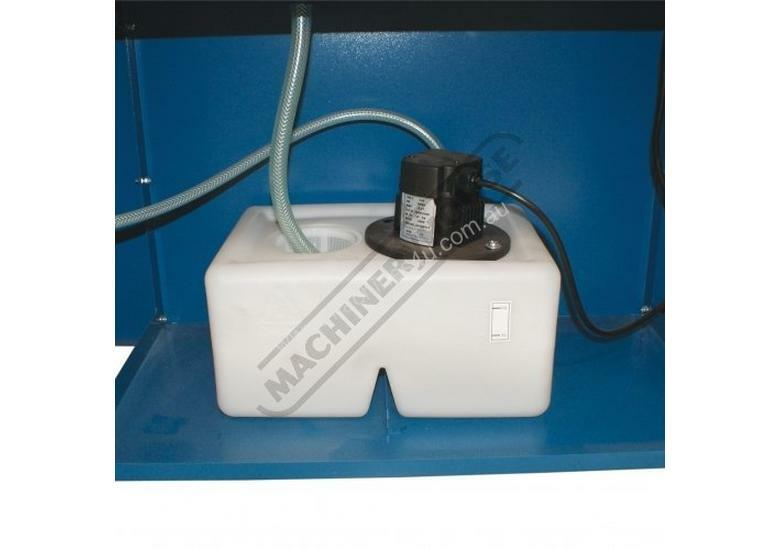 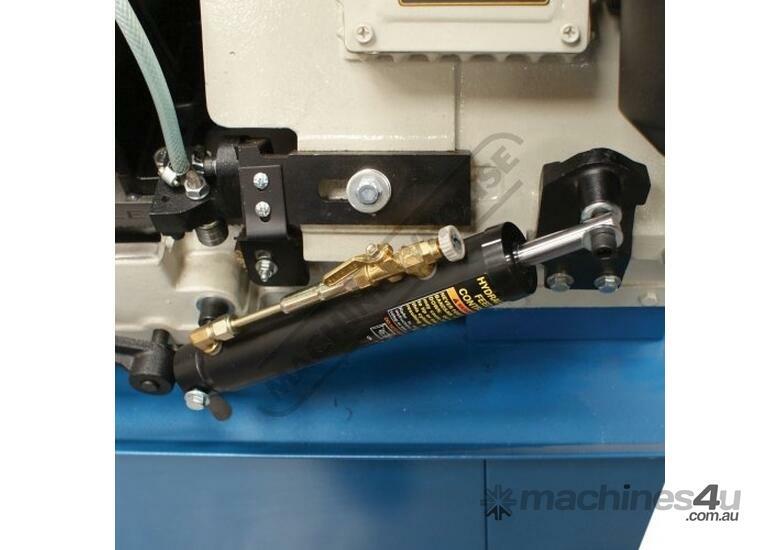 It features increased motor power, four blade speeds, double row ball bearing blade guides, a built-in coolant system and greatly increased cutting capacity. 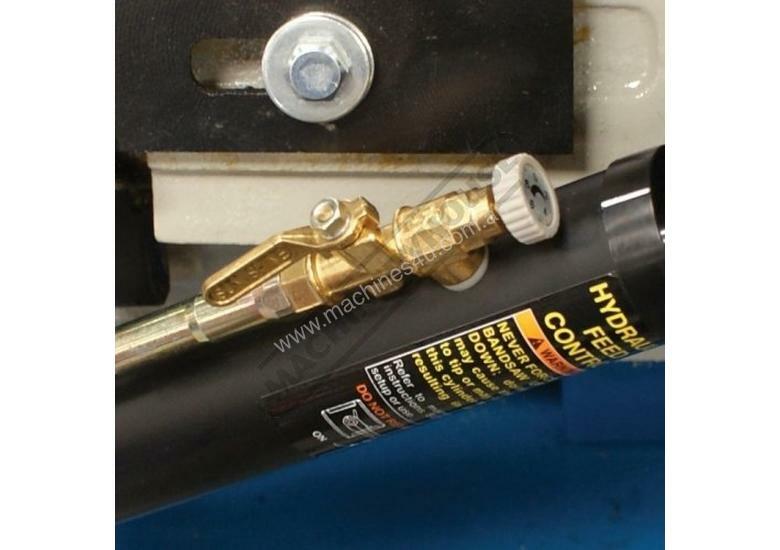 The downward cutting pressure is controlled by a fully adjustable hydraulic damper with an on/off valve and there is an automatic cut-off at the end of the cut. 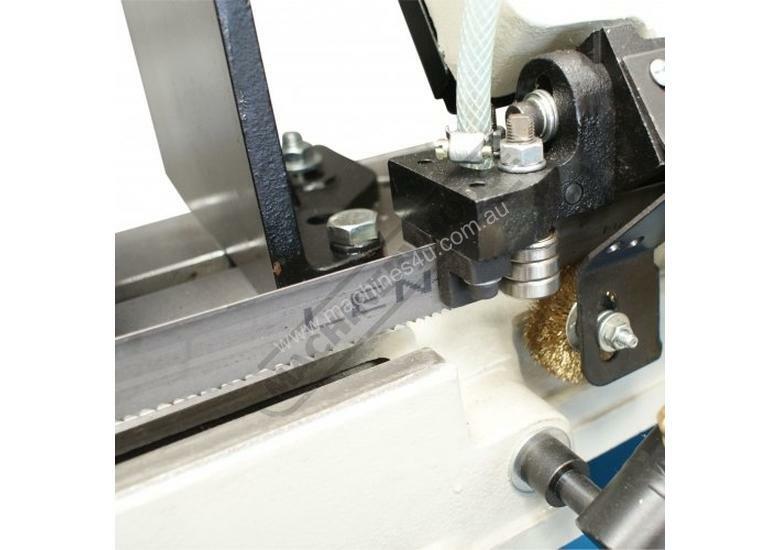 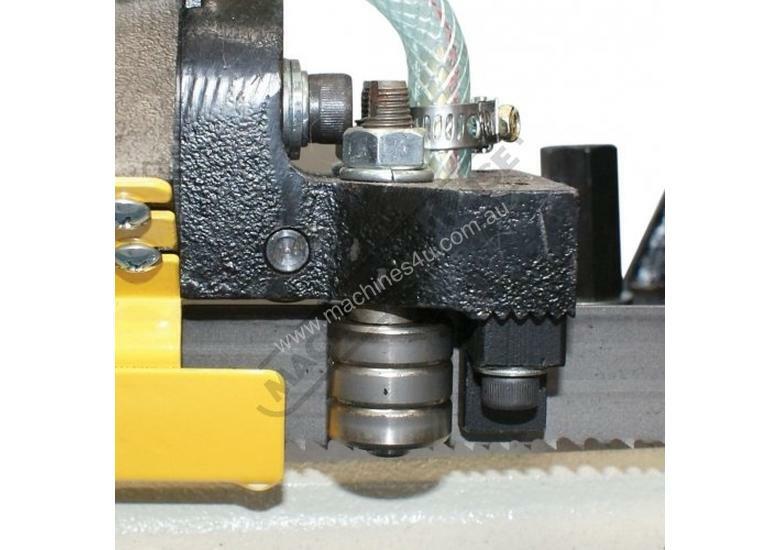 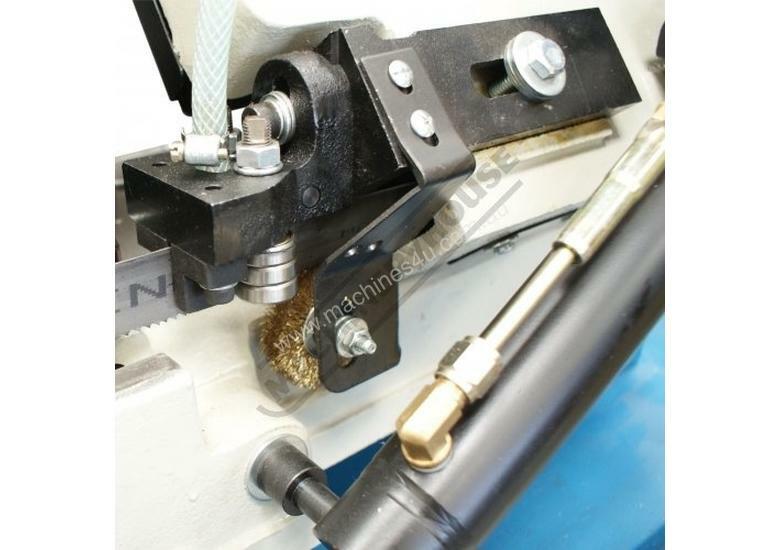 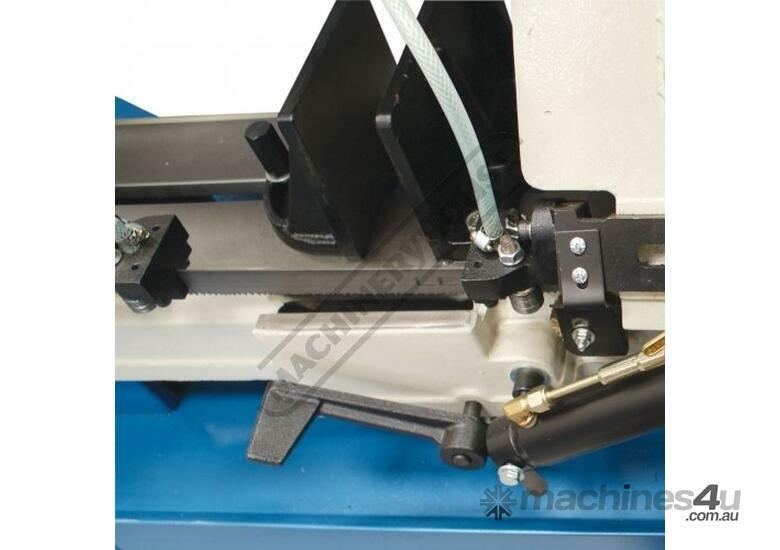 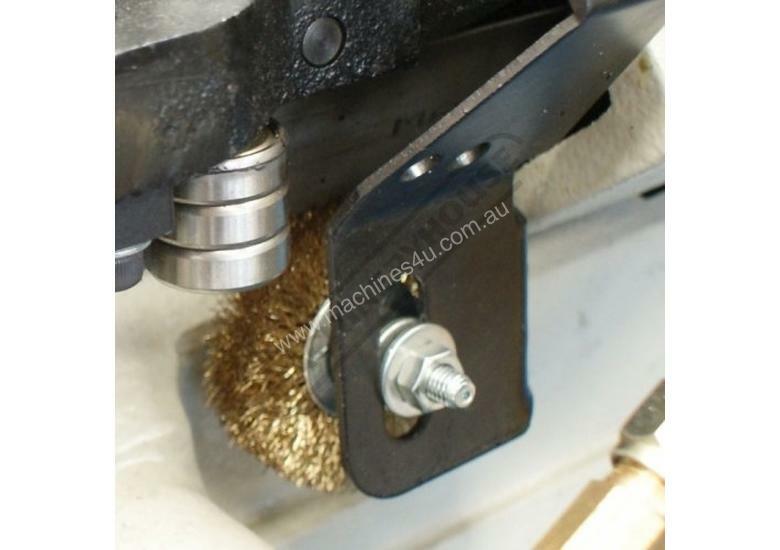 The vice rotates for mitre cutting and there is an adjustable material stop for consistent repeat length cutting.